"You Can't Rest on Your Laurels. Your Best Is Yet to Come." 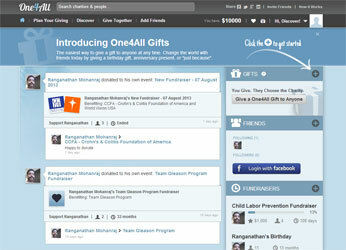 One4all is a social network platform for making charitable donations. One4all serves as a one stop location to donate to over 1 million charities registered in the US. Agree Technologies and Solutions differentiates itself by bringing first-hand IT knowledge, Healthcare, and Sales experience to the respective staffing and recruiting industries. 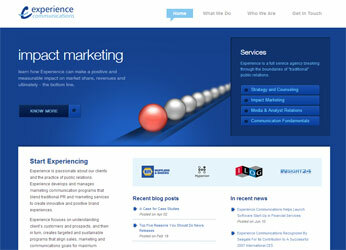 Experience Communication is passionate about their clients and the practice of public relations. 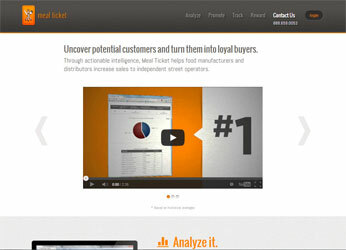 Meal Ticket is created by DB3 Mobile, the leading provider of cross-platform, web-based, on-demand services. 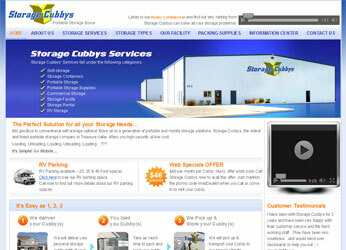 Storage Cubbys is a portable and mobile storage company based in Boise, Idaho. We redesigned Storage Cubbys' website and transformed it from a mere online brochure to an interactive and highly functional website, including video and photo galleries. 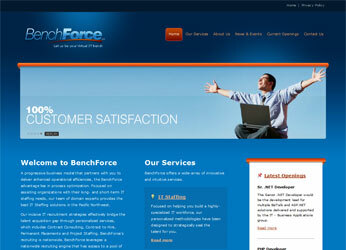 BenchForce approached Micromen for designing and developing their website. Their criteria was - a unique design and a site that is easy to navigate. 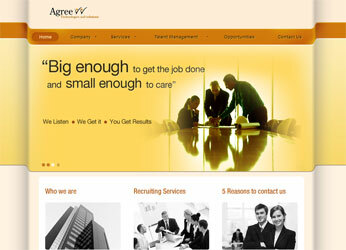 The graphic designers at Micromen hit the nail on its head with both their criteria.